Suzanne is breathing easily and feels like she’s got her life back after the death of Victor Gault. Bill, Suzanne’s husband of many years is one of the few people who helps ground Suzanne, helping her to not go back to the dark place inside her, where she found the strength and skill to be an assassin for many, many years. Only things are about to grow far more complicated for Suzanne, things she thought well left behind and finished in the past are about to resurface – and Bill’s plea for her to not go back is one promise she simply can’t keep anymore. I found this to be an interesting story. I enjoyed the complexity of interactions between Bill, Suzanne and Victor Gault’s children. Though I have to admit there was a fair bit of jumping back and forth from the past with explanations of how all the characters slotted together and then back into the present of what was happening now. I found these massive background information dumps clogged up the story a little and while it was excellent to understand the bigger picture and how things fit together, it all left me a little confused and not following the story as easily as I could have hoped. Readers looking for a strong, plot and character based story should find this engrossing. 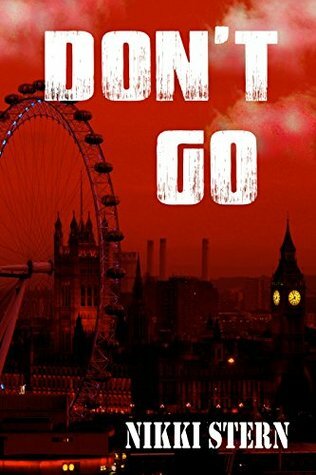 This isn’t a mystery book in the usual sense – there’s no who-done-it style murder – but it is a spy-type thriller waiting for all the pieces of the puzzle to come together and then waiting for the action to kick in. I enjoyed reading all the parts coming together and even found the twisty plot to be refreshingly different. One important thing to note is this book does not have a “happily ever after” style ending. Not at all. Also, there might also be a few triggers for various readers – both assassination and human trafficking is mentioned in passing (as part of the plot, not written descriptively or explicitly) but I found at no stage was it over the top. I found the characters to be different and exciting and the plot well paced and deeply complex. An interesting, vivid tale that I thoroughly enjoyed.